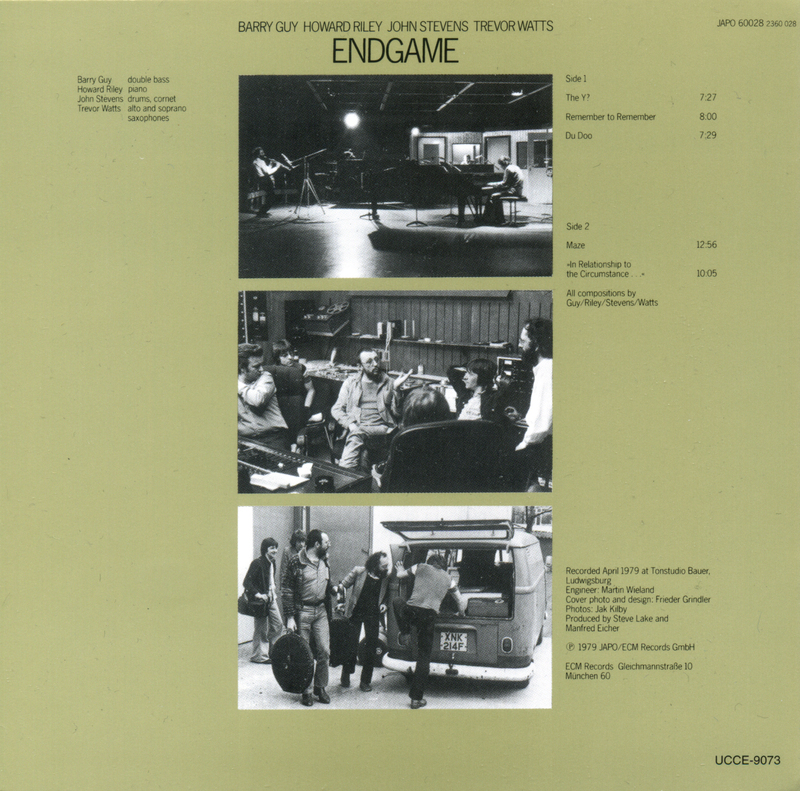 Bassist Barry Guy has always lurked in some of ECM’s most unexpected corners, and on this JAPO release from 1979 he joins pianist Howard Riley, drummer John Stevens, and saxophonist Trevor Watts for five freely improvised tracks of understated pandemonium. The titles of said tracks confuse more than they clarify, because the music speaks so well for itself. “The Y?” is a bubbling broth that gradually thickens into stew. Each musician seems to play in his own space, feeling out the dynamics of the scene before populating it with movements. Watts’s altoism is the boldest color of this spectrum, diving through his bandmates’ hoops with the ease of a dolphin. This leaves Guy to navigate Riley’s punctuations with strange tenderness, and Stevens to fill the void with his brilliant sputtering. The sub-terrain to the former’s mountains, “Remember To Remember” opens low and dark in Guy’s strings. Watts carves a stark alphabet into Riley’s chaotic palimpsest, leaving Stevens to flounder on shore. 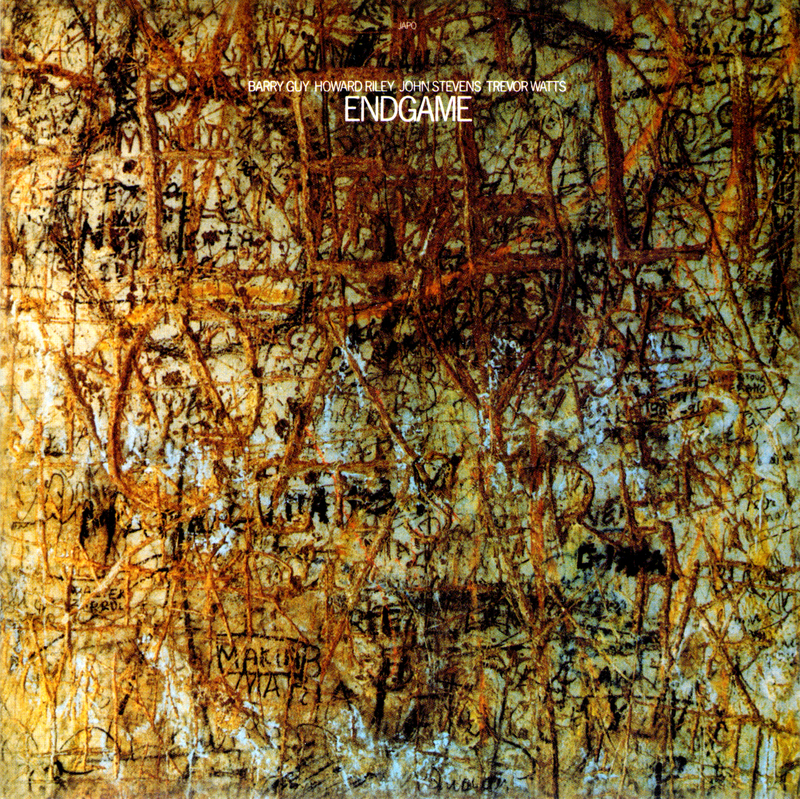 There is a dynamic of searching here that, if not apparent already, should by now hit the listener like a eureka moment, as the group’s modus operandi becomes clear as day: this is not free improvisation but improvised freedom. With this realization as our compass, we leap over every pin and needle into “Du Doo.” Guy again provides the anchor, which is meant to maintain as much as obliterate stasis. His heart is in the details. Stevens brushes the frame until it turns to dust, while Watts wanders joyfully in these ashen ruins as if they were newly built. The detailed finish shows just how sensitive this quartet can be. “Maze,” in spite of its title, is the most linear track on the album. Its surface-level overlap only thinly veils a continuity that sustains a full 13 minutes’ worth of depth-soundings. At the core of it all is the relationship between Guy and Watts, who, like photographers taking pictures of the same scene but from different angles, share complementary foci. On the other side of the coin is the final track, “In Relationship To The Circumstance…” Its gestural fabric is rendered opaque by the illusion of space between instruments. The sparseness is dark matter made audible. Watts plays the roll of bait and the others fish hooked to its line, flailing for one last song. Like Barre Phillips, Guy is a bassist who avoids pigeonholes like the plague, but with an art that is ultimately healing. This is one of his many effective prescriptions.